I’m over at Redeemed Reader again today concluding my series on Kingstone Comics (part one is here)–including an interview with Kingstone author/publisher Art Ayris! You can read/listen to the post here. 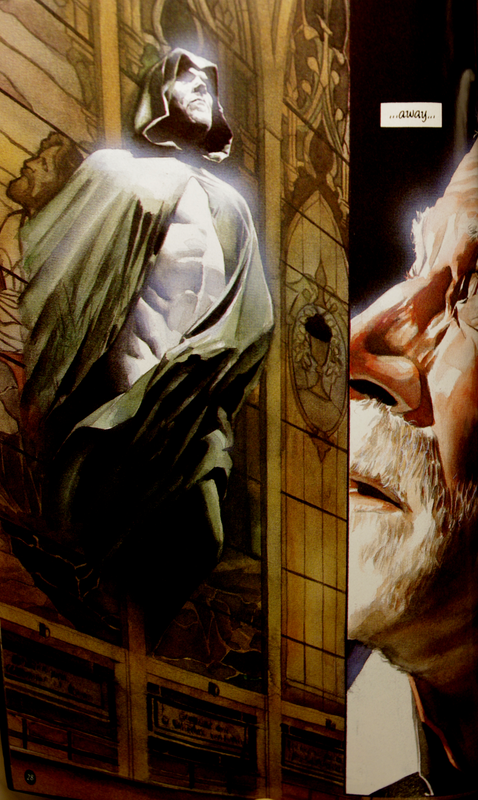 “There were voices… and thunderings and lightnings…and an earthquake.” Thus opens Kingdom Come by Mark Waid and Alex Ross, an apocalyptic superhero tale which follows the preacher Norman McCay as he witnesses the events surrounding the punishment of the earth. 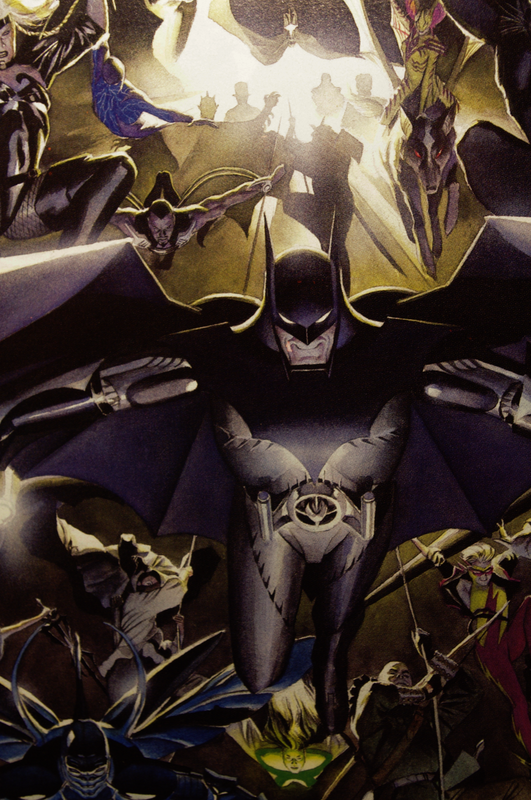 Containing an engaging narrative by Mark Waid and sporting gorgeous pages of artwork by Alex Ross, Kingdom Come is a contemporary comic that offers excellent reading. The story opens after Superman and his fellow heroes of yesteryear have largely withdrawn from society and relinquished the reins of justice to their children and the new generation of heroes. However, the story quickly makes apparent that the new generation does not share the values that the older generation held. The destruction caused by this “new” generation forces Superman and his fellow heroes to come out of retirement and repair the mistakes that they have left unfixed. Mark Waid tells his story with finesse and he uses the situations of his characters to make social commentary and expound his views all within the framework of a superhero story. The story addresses many problems and ideas that are relevant to modern Americans and even Christians. Through the mouth of a character called Wesley, Waid talks about how modern people have lost initiative and the desire to excel, and instead, “asked a new breed to face the future for them”(17). Also, throughout the entire narrative, Mark Waid uses the old/new superhero dichotomy to show the shortsightedness displayed whenever current problems are dumped on future generations who have not been raised responsibly and yet are expected to make things better. Mark Waid also addresses pride and its consequences; as well as how whenever a person loses touch with their own humanity they lose their moral compass and good judgment. Despite having fairly evident societal messages, Waid does not become preachy, but tells a pure superhero story about good versus evil that is engaging and entertaining. 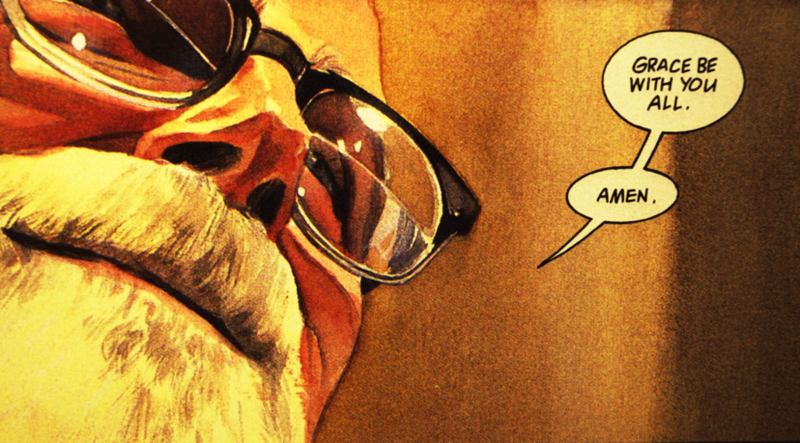 Mark Waid rises close to the pinnacle of storytelling in Kingdom Come, combining a great superhero story and at the same time unobtrusively making an accurate statement about modern American culture. As far as inappropriate content in Kingdom Come, there is not much to mention. Since this is a superhero comic there is obviously violence, and though there is some blood it is kept to a minimum. There is a small amount of swearing in the dialogue, mainly comprised of only one or two uses of three words. Overall, I foundKingdom Come very refreshing to read because it has so little in the way of objectionable content. 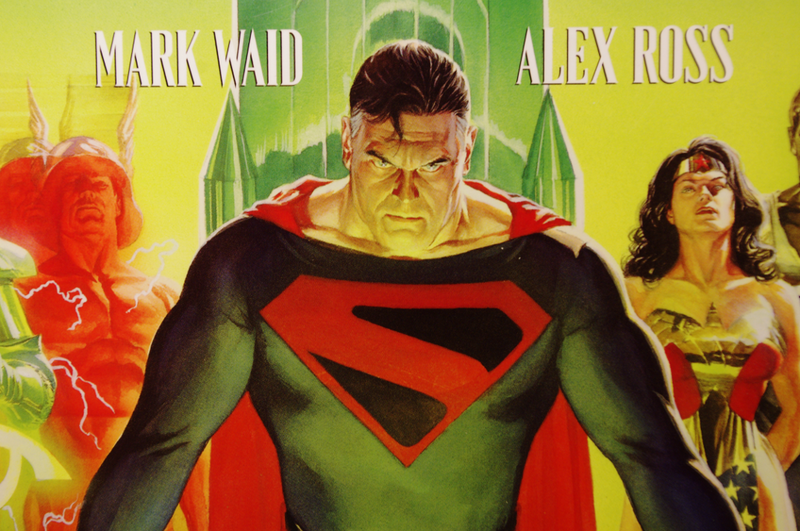 Finally, the artwork by Alex Ross is jaw dropping to say the least. He has a very painterly style that he uses to beautifully and realistically render all of Mark Waid’s characters and settings. This is the first comic book I have read that has this style of art, and it is a joy to look at. Alex Ross does an excellent job of portraying all kinds of action, and some of the panels in the comic book are so complex that it boggles the mind how anyone could render everything so clearly and effectively. The panels in the comic book are well laid out and are easy to follow without getting lost.